Alas, director Henry Selick, the stop-motion animation visionary behind The Nightmare Before Christmas and James and the Giant Peach, has forced me to eat crow regarding my passionate disdain for Hollywood’s resurgence of 3-D. Indeed, my stubborn belief that this gimmick cannot work in accord with any narrative has been proven incorrect (though not absolutely). My disregard still has uncounted reservations, since the device’s superficial use is readily applied to horror fodder and two-dimensional computer animation to enhance what cannot be enhanced. But with Coraline, Selick finds a unique balance between story and presentation that functions harmoniously. 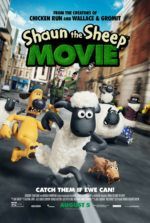 The effect of stop-motion animation contains an odd sense of dimensionality, in that Selick’s environments and characters move and appear like a diorama come to life. Each has tangibility that the 3-D mechanism supports, and given that stop-motion and 3-D find this curious synchronization in Selick’s picture, the result is nothing short of amazing. Of course, there are the usual failures, such as how the 3-D glasses dim the film’s image—an inevitable visual downfall since the picture is ripe with vibrant colors. But it’s nonetheless an improvement over one red and one blue lens. Perhaps as technology improves, audiences will be able to enjoy both faux space and bright colors together. If you didn’t already know, stop-motion animation involves an environment created out of any number of materials ranging from clay to metals and so on. The filmmakers take a single photo of the setting, move the figures in the scene a tiny amount, and take another photo. Thousands of photos and years of diligent work later a film is assembled. Early motion picture pioneers combined the realistic style with live action on the original King Kong (1933), Ray Harryhausen popularized the method in escapist yarns like The 7th Voyage of Sinbad (1958) and Jason and the Argonauts (1963), but today with the ease of computer graphics, stop-motion has been confined primarily to children’s films. And yet, there’s a side of Coraline that’s wholly un-childlike. Based on the 2002 novel by Neil Gaiman, the story contains creepy dolls and talking cats, performing mice and evil spiders, all elements further brought to life by Selick’s approach. Essentially a reworking of Alice in Wonderland, this frightening storybook features the impetuous, eccentric title character (voiced by Dakota Fanning) discovering another world hiding in her new home in rural Oregon, a place shared with strange neighbors above and below her family’s flat. Her boring writer parents (voices of Teri Hatcher and John Hodgman) plug away at a gardening catalog, while she investigates her neighbors and determines her new life is mundane and dreary. One night, through a tunnel inside a secreted doorway no bigger than a child, Coraline crawls and finds a more pleasant world seemingly created to please her every whim. Her “Other Mother” cooks comfort food and her “Other Father” sings and plays piano. And while every other detail seems identical to her world, her alternate parents have buttons for eyes, and they soon disclose that she can stay in this “better” world with them if she sews buttons over her eyes too. Is this other world a dream? Possibly. Probably. Hopefully. 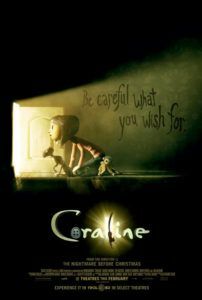 The “be careful what you wish for” theme comes crashing down when Coraline’s “Other Mother” kidnaps her real parents, offering a very real danger generated from too much dreaming. Fear is an integral part of childhood development, so if you have children, take them to Coraline, and expose them to imagination and the possibility of dreams and all the frightening aspects therein. Allow them to acknowledge and surpass elementary fears, and perhaps you’ll confront some latent fears of your own in the process. Because once they (and you) start recognizing the illusory un-reality of fantasy, that, of course, there’s nothing to be afraid of except fear itself, real life suddenly won’t seem so bad in comparison. A wonder of visual artistry, the film represents an epicenter of patience and faculty from those involved. 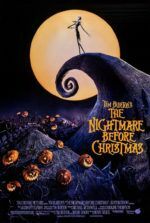 Though Selick’s collaboration with Tim Burton eventually spawned an after-the-fact 3-D revival of The Nightmare Before Christmas in theaters, that film was never intended for 3-D, and the result looks like a pithy relief sculpture. Coraline was filmed and designed with this apparatus in mind, and makes fine use of its benefits with every stylized figure and dreamlike impression from Selick and Gaiman’s fantastical and occasionally disturbing imaginations.